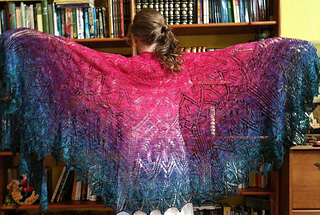 This Victorian mystery KAL will begin October 29th, 4 or 5 clues will follow, one each Wednesday. 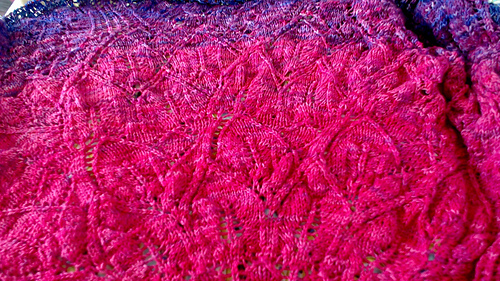 If you keep up, you will have a lovely shawl just in time for Christmas. 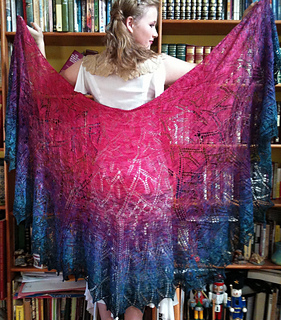 Join the no chat Yahoo Group to find out when we are dyeing and shipping. 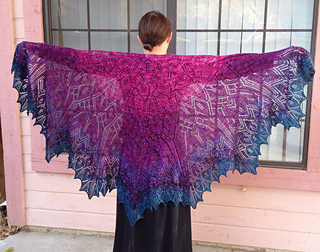 We have a Ravelry Group here for contests and chat. 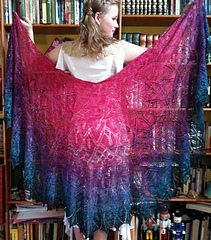 The first person to finish their shawl (using YF kit) will win an all hand made crystal tree, what fun. 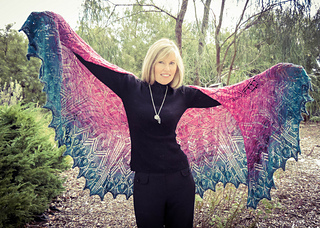 Hand spun yarn sparked the imagination which resulted in this more then 6 wedge shaped, almost full circle shawl, worked flat for ease of wear. Thoughts of old velvet couches, homes of that era, Persian rugs, black silk top hats, rustling silk petticoats, slate fire sides a real plethora of lovely drawing rooms. 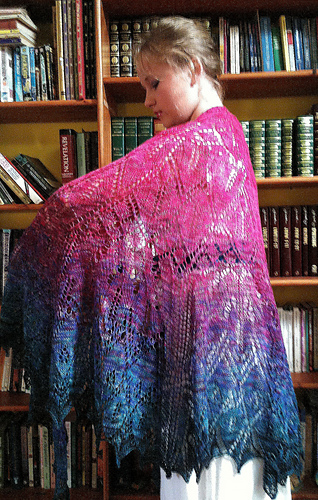 All of this and more has resulted in a color blending yarn extravaganza as well as many goodies to tempt you. One of a kind Victorian necklaces will pop up on the blog as well. While you are knitting a long perhaps you would like to read a long? If so we will be doing,,, what else? 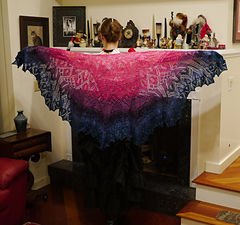 A Christmas Carol by Charles Dickens on Ravelry. Since our hands will be busy knitting we can all listen along. Isn’t modern technology a marvel? Can you imagine what our Victorian counterparts would have thought about Librivox.org? All those libraries full of books in their homes. Now all available to download and give an ear to instead. Whatever you do, ENJOY yourself, this will be a fun one.